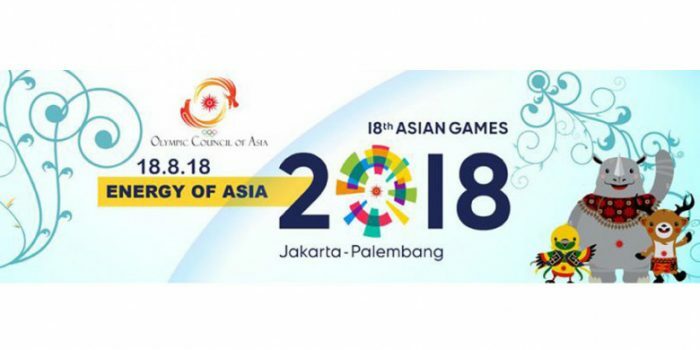 Jakarta, Palembang and other host cities will organize 462 sports events, which is the second largest number of events in the history of Asian Games. This is only 14 fewer events than Guangzhou in 2010. Some sports such as pencak silat, wushu, jujutsu, paragliding and jet-ski as well as e-sports will be presented in the 2018 Asian Games for the first time. The 2018 Asian Games mascots are Bhin Bhin (a cenderawasih), Atung (a Bawean deer) and Kaka (a Javan rhino) represent strategy, speed and strength as well as symbolize Eastern, Central and Western regions of Indonesia. The Asian Games torch will be lighted at the Major Dhyan Chand Stadium in New Delhi, India, site of the first Asian Games. It will then be transported by an aircraft, then paraded across Indonesia across 12 provinces and 36 districts, from 18 July to 18 August using cars, ships, and aircraft. The final stop for the flame will be at the Bung Karno National Stadium, Jakarta. Earlier, the covering of Ciliwung river became an international controversy. It is said that this is a health hazard, as the trash could create the formation of gas under the material. The gas produced is extremely toxic and a compressed amount could make it explode. Even the pasukan orange (orange army that is tasked with cleaning up Jakarta) has made initiatives to welcome the Asian Games 2018. This mural has become viral, with people making pros and cons to the situation.